Music is the core of the Sat Nam Fest experience. Our magnificent musicians carry us along on the sacred sound current, continuously harmonizing and vibrating the naam in waves that wash over us in pure bliss. 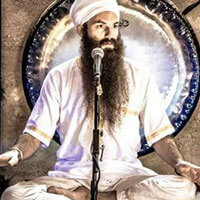 Kundalini Yoga’s music is shared with a depth of grace and devotion, you will be swept away. During concerts, and as live music during yoga classes and workshops, musicians take the Sat Nam Fest experience higher and higher…to infinity and beyond. We’re bringing you more teachers and yoga classes than ever before, giving you an ocean of possibilities to expand into bliss. Every yoga class takes you higher, elevating your consciousness, opening your heart, bringing you closer to your inner Sat Nam. Ajeet Kaur debuted her first solo album, At the Temple Door in 2014 and has been traveling the world to offer music and yoga. Her love of music has led her around the world to study traditional Indian and Irish music. Along with music, the love of Ajeet’s life has been her study of healing with her teacher Guru Dev Singh. Ajeet blends the healing power of ancient mantras with a fresh and unique contemporary style. 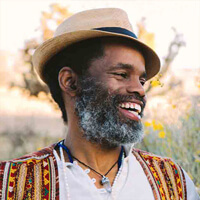 Ordained healing minister, spiritual counselor, certified Kundalini Yoga Teacher, percussionist and, a 5th generation plant and spirit medicine man, Akah is gifted in his ability to fortify the teachings of Kundalini Yoga with science. and metaphors in ways that are both engaging and empowering. Akah’s passionate teaching style is fueled by the intent to use the yogic teachings to balance the mind so we can be free to Be. He also uses the healing joy transmitted through rhythm and ancestral inspiration from his over two decades of being immersed in Indigenous ceremony. In his spiritual counseling practice he offers a multi-dimensional perspective on health and recovery from addiction. Akah travels nationally and internationally with his wife sharing their medicine music and teachings as Aykanna. In his spiritual counseling practice he offers a holistic perspective on health and recovery from addiction and trauma. Akah also sees clients at Internationally known recovery center Passages in California. He lives in Beautiful Southern CA. with his wife and 5-year- old daughter. 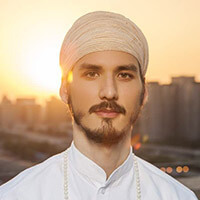 Yogi Amandeep Singh M.Sc(Aust), MA(UK), B.Sc Hons(UK) is a counsellor by profession and an accomplished yogi, having studied in depth many yogic traditions in India. He is a Kundalini Yoga Teacher, a scholar with Kundalini Research Institute(USA), Healer, Mystic & a teacher of Eastern Spirituality. He is a leading authority on philosophy & history of ancient yogic traditions. He brings great depth, accuracy, joy and spontaneity to his teaching. 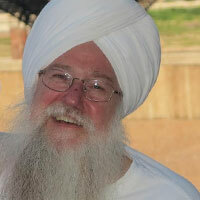 Being inspired by Yogi Bhajan, his master, he travels around the world sharing transforming wisdom. A friend introduced Andi Flax to Kundalini yoga; when she sang “Long Time Sun” for the first time, she heard the “true” voice of her soul, and knew that she was home. Andi is committed to the idea of life as a piece of art, and lives in service to humanity through the expression of her music and feels both honored and privileged to be able to pass on these beautiful and sacred teachings of Kundalini yoga and Naad Yoga (the yoga of sound/mantra) She currently resides in Newport Rhode Island, and is a kundalini yoga teacher, birth and postpartum doula, and a second degree reiki practitioner. Anne Novak developed a deep and abiding love affair with Kundalini Yoga and Meditation after a lifetime studying physical therapy, fitness and the human body-mind. She has been working in the health and fitness industry for over twenty-five years and her instructional videos on Spirit Voyage’s YouTube channel are international sensations. Anne’s teaching is powerful and insightful, combining a vast knowledge of the human body and a delicate grasp of the human heart. 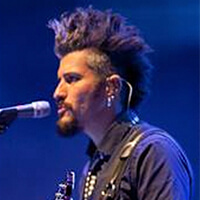 Carlos Anthony Molina . . .
Born Year of the Dragon . . .
painting, saxophone, singing . . .
jazzmaster guitars, piano . . .
light sabre bass . . .dj . . .
produce, mix, master, manifest . . .
son of a preacher man . . .
Arjan Kaur Khalsa is an Intuitive Counselor & Healer, who is a devoted lover of God, an Angel Therapy Practitioner, a gifted medium, and an equally experienced yogini and meditator. Arjan Kaur & Sham Rang Singh met and married 19 years ago after each had already discovered deep romantic relationships with God as the Beloved. Aykanna is a sacred life revolution. Best known for their musical group Aykanna, husband and wife team Sukhdev and Akahdahmah Jackson share their soulful, freestyle-infused, percussion-driven music with audiences all over the globe. 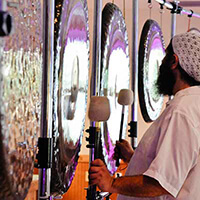 They share their passion for Kundalini yoga and sacred chant through concerts, retreats, and workshops. As a musical duo, Aykanna’s style is infused with a deep sense of unity, a strong connection to the sacred chant traditions of India, and a powerful influence from shamanic rhythms. 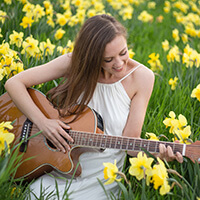 Aykanna’s music is positive, inspiring and reaches out beyond the boundaries of kirtan and new age music genres and into the hearts of the mainstream. This is music with a purpose. 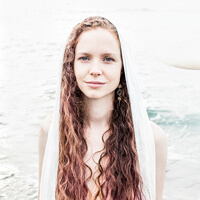 Aykanna has performed at Sat Nam Fest, Wanderlust, Hanuman Festival, Yoga Journal Conference and Summer Solstice Sadhana Celebration as well as internationally in Central America, Europe and all over the US. They just released their 6th album. A meditation album through Spirit Voyage named Light In The Darkness. They live in Ojai with their beautiful daughter Sahej who is five years old. Crown of Eternity is a duo consisting of guitarist, multi-instrumentalist, singer, gong lover Harnek Singh (Mike Tamburo) and singer, pianist, gong lover Harnek Kaur (Gallina Tamburo). 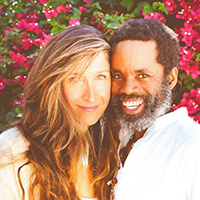 They live in Pittsburgh, PA where they both teach kundalini yoga and run their own yoga and vibrational healing center. They are an incredible force when they play their gongs and their participation at Sat Nam Fest is a true blessing. Ezra Landis grew up in the woods of NH surrounded by the stunning and effortless beauty of the natural world. He didn’t know it yet, but this was the beginning of his musical journey through life. Through an unconventional upbringing and education Ezra and his two brothers happened upon an electric guitar, a drumset, and an electric bass. Almost instantly, a band was formed and energetic original music filled the air! Throughout the years Ezra has brought his love and reverence of nature, and joy of being alive to his guitar playing with passion and subtly. 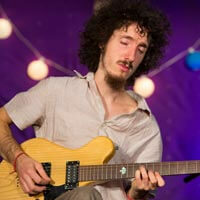 He has been a part of many rock/reggae/world/folk bands, all of which involved some member of his family. 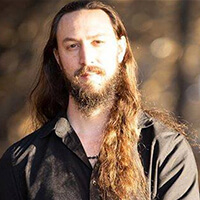 The theme of flow has been evident as Ezra’s musical journey continued into the sacred chant realm with such artists as Girish, Irene Solea, and Tom Lena. Ezra is excited to now find himself touring the world with beloved Kundalini chant artists Snatam Kaur, Ajeet Kaur, and Simrit Kaur. When not touring the world through music, Ezra likes to travel to the many beautiful cliffs and boulders that this world has to offer – and then climb them. When at home in NH, Ezra also enjoys the tangible creative process of hunkering down and making things out of wood. GuruGanesha, a child of the ‘60s, grew up in a world where social expression and musical boundaries were confined to a very rigid set of rules that the 1950’s America dictated. Then one day that all changed: It was in 1964 that the Beatles appeared on the Ed Sullivan Show for the first time, and the world was never the same. He knew right away what his life long calling would be and then set out across the country armed with a guitar and a vision to touch people’s souls with sound and love. 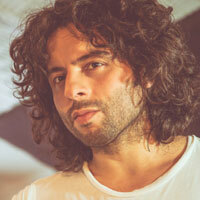 Grecco Buratto is a Brazilian-born artist by nature, musician and record producer by trade, and a yogi by destiny. He began playing guitar at the age of 8. He relocated to Los Angeles to attend the Musicians Institute in 1995 and has since recorded with a long list of artists including Pink, Luis Fonsi, Boyz II Men, Backstreet Boys, Earth Wind and Fire, Lamont Dozier and George Duke. He has toured all over the world with international stars such as k.d. lang, Gwen Stefani, Shakira, Enrique Iglesias, Leehom Wang, JJ Lin, Anastacia, Mandy Moore, and jazz legends Sérgio Mendes, Airto Moreira, and Flora Purim. 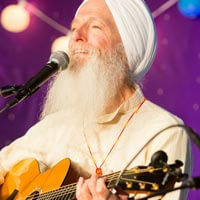 He is now touring with Snatam Kaur. Gurusangat’s lyrical, poetic, and groove-based bass lines are undeniable. They are the foundation that the GuruGanesha Band is built atop of. At the age of 11 he began playing in the famed French Quarter of New Orleans, honing his skills and developing his own musical vocabulary. Continuing that journey into the minute-by-minute thrill of busking in Boston is where this singer-songwriter took on the mission to inspire hearts around the world with peace, joy, and unity. A seasoned professional with more than a dozen production credits to his name, he is also one of the finest sonic architects around. His effortless ability to blend sounds, voices, and mantras into one gorgeous landscape makes him one of the great talents in the business. 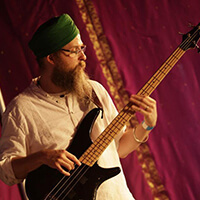 Joining the GuruGanesha Band as a bass player, vocalist, songwriter and producer is part of the vital mix that makes the GuruGanesha Band a perfect fit. Hansu Jot is born in Hamburg/ Germany with a taiwanese mother and and german father. Through the practise of his mother he very early came in touch with the values and various practises of Buddhism and the Chanting of Mantra and later decided as a young adult to dive into the teachings of Kundalini Yoga and Naad Yoga (Yoga of divine sound) to study its deep and healing impact on the human body, psyche and emotions. Having finished the Kundalini Yoga teacher training in 2012 Hansu Jot is now traveling and touring the world to teach Kundalini Yoga workshops and share the Sacred Sound through Naad Yoga and Sacred Chanting events, has published three Sacred Chant albums with the the band Tera Naam and is about to publish his first solo album: ”To the stars and back” in the beginning of December 2018. Harnam (Tony Zatzick), MFA, is an artist, yogi and musician who deftly weaves these powerful elements into his transformational workshops. 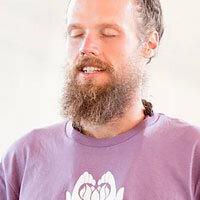 Whether creating mandalas, leading sacred chant, or teaching yoga – Harnam will take you there. He is known for his heart-centered, authentic, and engaging style. His paintings and recordings are critically acclaimed for their transformational and soulful power. His upcoming album Speed of Love is scheduled for release in Fall 2018. Visit www.harnamusic.com to experience his paintings and other albums: “A Fearless Heart” and “All Roads”, “Awakening Your Creative Fire”, and “Removing Obstacles”. 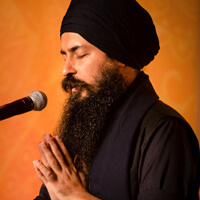 Jai Dev Singh is a yogi, teacher and practitioner of Ayurvedic Medicine. His innovative Ayurveda and Yoga courses have been attended and studied by thousands of people throughout the world. He is the creator of The Life-Force Formula, The Complete Course of Ayurveda and The Radiant Body Course. Jai Dev lives in northern California with his wife, Simrit Kaur, and their son. 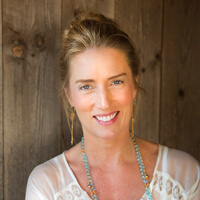 Karena Virginia brings 20 years of experience as a certified healer and highly acclaimed Kundalini yoga instructor. Before her teaching career, she worked in the entertainment industry as an actress and model. Her work encourages us to connect and empower our own personal truth through love, compassion, inner beauty, and radiance. Karena conducts ongoing workshops in the United States and Europe. Karena believes deeply in synchronicity and miracles, and ever since her childhood she has been on a mission to bring light to others. Many people who work with Karena say through her warmth, humor, compassion, heart -centered awareness and healing presence, she has a transformative quality that enables them to move past fear and into the path of least resistance where miracles happen with ease. In 2015, Karena released the Amazon Choice DVD The Power of Kundalini Yoga with Sounds True. In 2017, she and her co-writer, Dharm Khalsa, released the highly acclaimed book Essential Kundalini Yoga with Sounds True. Karena is also the voice behind the IOS APP called Relax and Attract with Karena which has been helping thousands of people internationally to find peace in chaotic times. Karena is a member of Oprah’s Belief team and continues to use her voice for positive change. Karena will be featured on the cover of Yoga Journal this summer with featured blogs and videos sharing the powerful transformative qualities of Kundalini Yoga. Karena resides in the NYC area; she spends her free time relaxing with her husband and two children. I’ve been playing and performing music ever since my early teens. But I only began writing and creating music after I started practicing Yoga and Meditation. That was 1969 in Orlando, Florida. 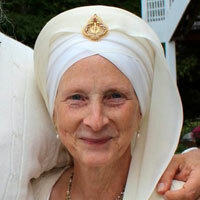 Through the fog of the ’60s, I was miraculously led to my spiritual teacher, Yogi Bhajan. I discovered there was a way to live in this world yet still serve my higher self. Since then, I have taught and practiced Kundalini Yoga and meditation. My meditative experiences opened a channel in me that I had never been able to touch. Energized and experiencing astonishing new things, music became a way of transmitting that to others. I have played the Troubadour in L.A. I sang before 120,000 screaming fans at Baton Rouge Pop in 1971. I toured the US with the Khalsa String Band. Seal once backed me on stage. I was in Peace Family Band with Snatam Kaur and Guru Ganesha. But my greatest honor was to write “Song of the Khalsa”, a song that is sung by Sikhs and seekers all over the world. I have recorded with friends over the years. But finally, for the first time in over 35 years, I am releasing an album of my own songs. It is the deeply distilled essence of my experience in the One. I feel it can help you in your life…in ways yet to be discovered. Come and discover with me. It will be my honor. S.S. Mahan Rishi Singh Khalsa, D.C. Mahan Rishi Singh co-founded the Khalsa Healing Arts and Yoga Center in Yardley, PA. USA in 1989. 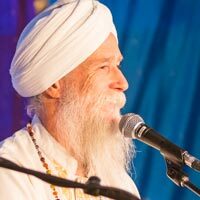 He began studying yoga and meditation in 1973-4 and entered the Guru Ram Das Ashram in 1975 as a student and teacher of Kundalini yoga as taught by Yogi Bhajan. Having taught nationally and internationally, along with traveling numerous times to India, he seeks to bring the ancient wisdom and authentic devotional practices of yoga and meditation into everyday life. He has been leading retreats and yatras (spiritual pilgrimages) to India, Nepal and Tibet over the past 25 years. 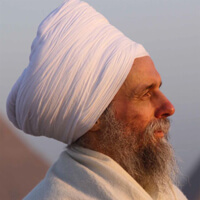 His experiences of the kundalini and subtle energy currents of the etheric body have led him to guide his students toward Self-realization and illumination through Universal love and understanding. His vision is for each student to have an experience of vital energy, great joy, and liberating peace. Mahan Rishi is also a doctor of Chiropractic and Herbal nutritionist. He graduated from New York Chiropractic College in 1988. Through natural healing practices and holistic health care he guides his client toward optimum health and well-being. 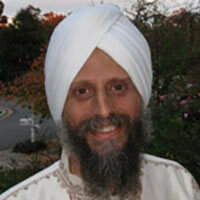 Dr. Khalsa seeks to awaken the vital spirit and heart of each individual on their journey of wholeness and liberation. He graduated from the International School of Polarity Therapy in 1978 as a certified practitioner of Polarity Therapy………utilizing various techniques of energy balancing through bio-energetic synchronization, meridian balancing via pulse diagnosis using both Chinese and Auryvedic traditions, and auric balancing through breathwork and yogic practices he helps to enhance the vital life force of your body, mind and spirit….. Also trained in Reiki, Yogic subtle body, crystal and aromatherapy healing practices he releases deep emotional and vibrational blocks, unleashing your profound potential and vital energy. Dr. Khalsa has studied with healing masters from around the world for over 30 years, including some of the oldest known yogi’s and dharma teachers, Swami Bua who still lives today at 119 in New York, and the world renowned Green Monk Bhante Dharmawara Mahatera who lived to 110. Dr. Khalsa’s knowledge of herbology and nutrition is valuable for anti-aging as well as rejuvenation. His experience over the past 20 years of tongue diagnosis and iridology give him deep insight into one’s internal bio-chemistry. By integrating herbology, and various orthomolecular therapies (vitamins and minerals) he is able to guide you toward optimum health. As a healthy vegetarian for over 30 years he is able to guide you toward creating healthy dietary habits which enhance your overall state of well-being. After thirty years of dedication Mahan Rishi was given the minister’s title of Singh Sahib by Yoga Bhajan ….to serve as a spiritual minister of Sikh Dharma officiating weddings and other sacred ceremonies. 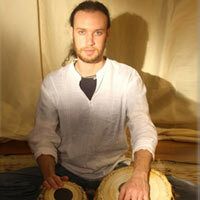 Sessions with Mahan Rishi are gentle yet powerful, energizing and calming, creating a deep sense of peace and vitality. Michael Jai Dev serves the Sat Nam Foundation passionately as its Director of Operations. After leading our lifeguard rescue team in Greece, he came on board full time and has spearheaded projects in Puerto Rico, Mexico and India. Michael Jaidev DeNicola is a certified teacher, Wilderness First Responder, and Leave No Trace instructor with ten years of experience teaching. He taught middle school math and science for two years in Los Angeles, led wilderness expeditions for three years in Alaska (Alaska Crossings, SAGA, Academic Travel) and taught yoga and outdoor education in various camps, including Khalsa Youth Camp. Michael represented Sat Nam Foundation in Greece, where he performed Search and Rescue for Syrian refugees with international rescue teams. Currently, he is supporting Sat Nam Foundation’s non-profit work, leading the Service Exchange teams for Sat Nam Fest, and teaching Kundalini Yoga in Mexico. Michael’s dream is to synthesize all he has learned from 8 years of international travel and share this wealth of wisdom with our youth in experiential and creative ways. 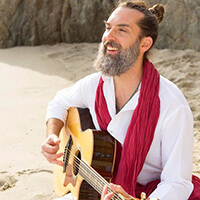 Author of The Body Temple: Kundalini Yoga for Body Acceptance, Eating Disorders, and Radical Self-Love, and host of Spirit Voyage Radio with Ramdesh, a podcast that brings mantra and meditation to 300,000 listeners each year, Dr. Ramdesh’s unique brand of approachable, heart-centered humor brings Kundalini Yoga to every body and every heart. Ram Dass is a music producer, audio engineer, and multi-instrumentalist based in Berkeley, California. He was raised in a musical family, both parents being professional musicians, and was instilled with a profoundly diverse musical background, ranging from Beethoven to The Beatles and Aaron Copland to John Coltrane. He had the great privilege of being surrounded by highly skilled performers from an early age and has honed himself to become a uniquely sensitive and deeply emotional artist. “I’m an accidental rock star,” says Sat Kartar with a chuckle. With his self effacing humor and sincere worldview, his spiritual heart began when he met Yogi Bhajan in 1972. He loved that Yogi Bhajan was incorporating Western music and guitar into the ancient sacred teachings of mantra and divine poetry. Like GuruGanesha, Sat Kartar is also a child of the new wave of spiritual exploration and heart opening that came from the 1960s. Early on, like so many children of the era, he picked up an acoustic guitar and started forming poetry and lyrics to fit his precise and harmonic rhythm guitar style. Later on he fused all of that with his love for Indian music by learning the tabla and harmonium. Those influences are easy to pick out today in GuruGanesha Band’s musical language that transcends boundaries, cultures, and generation. Sat Kartar and GuruGanesha have been singing and playing together for more than 25 years. He has been with the GuruGanesha Band since its inception, and more recently has been writing music and collaborating with the entire band. Sat Kartar’s influence and maturity in the band is an integral part of its leadership and future. 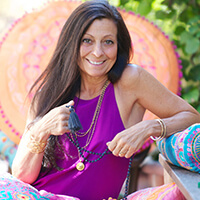 Satya Scainetti is the founder and designer of Satya Jewelry. A philanthropist, yoga teacher and Reiki healer, Satya lives a lifestyle dedicated to giving back to the world community. The name Satya, meaning “truth” in Sanskrit, inspires each wearer to find and live their individual truth. Satya has built a devoted global following as she creates beautiful, inspiring and meaningful jewelry that resonates with each customer’s own personal journey. Satya’s background in social work and passion for early childhood education sparked the creation of the Satya Foundation, a non-profit organization that provides children all over the world with hope, change and the opportunity to fulfill their destinies. 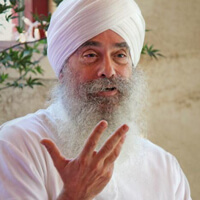 Satwant Singh Khalsa has been teaching and practicing Kundalini Yoga under the guidance of the Master of Kundalini Yoga, Yogi Bhajan, for over forty years. Having also worked in the corporate world for over two decades, Satwant Singh is at home in both the sadhana room and the board room. A KRI-Certified Kundalini Yoga Teacher, he teaches at Raj Yoga Center in Sterling, Virginia and has been at Sat Nam Fest since our first festival. 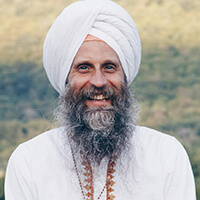 He serves as Executive Director of the Siri Singh Sahib Corporation, a non-profit organization which manages the family of organizations that Yogi Bhajan established to spread the teachings of Kundalini Yoga and Sikh Dharma. 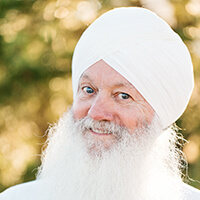 Dr. Sham-Rang Singh Khalsa is a physician who has also practiced Kundalini yoga and meditation as a student of Yogi Bhajan for over 35 years. Dr. ShamRang merges Ayurveda (traditional Indian yogic healing), yoga and western medicine, utilizing meditation with a strong focus on helping people open to their own self-healing. He teaches from a place of humor and challenge, pushing the student to greater awareness without fear. 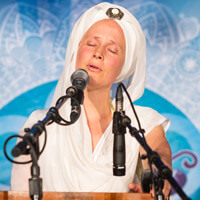 Snatam Kaur is a devotional singer whose music is a deeply personal spiritual journey. Her voice has touched the hearts of millions around the world from Moscow to Buenos Aires, from Hollywood to Bollywood, from Ram Dass to Oprah Winfrey. 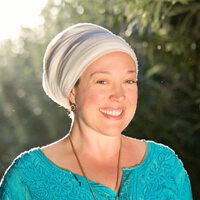 But Snatam maintains her humble, deeply personal connection with her music and truly loves to share the teachings of Kundalini Yoga and Gurbani Kirtan through her music. 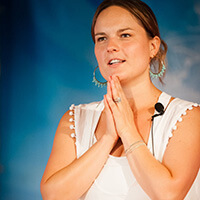 Sukhdev Jackson is one of the international faces of the new generation of Kundalini Yoga teachers. Supporting women to return to their true power is her expertise. 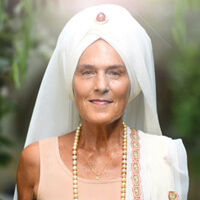 Sukhdev is the founder of “Shakti School”, school created to serve and train women to develop into their true power through the Women’s teachings of Kundalini Yoga and meditation. Sukhdev is also part of the world renowned musical duo “Aykanna”, and is a “Billboard Magazine” acclaimed musician, with a career spanning over 20 years. 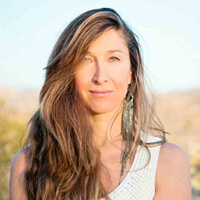 She currently teaches at the world renowned Omega Institute in New York, Kripalu, Blue Spirit in Costa Rica, Summer Solstice Celebration & Woman’s Camp in New Mexico. She lives with her husband and 5 year old daughter in Ojai, CA and is currently working on a new album. Sukhmani Kaur Rayat, from the UK, is a student of Bhupinder Singh Chaggar and is a student of Pandit Sharda Sahai of the Banares Gharana. Her tabla playing is powerful, precise, passionate and full of prana. She performs in many fusion bands as well as accompanying Indian classical music. 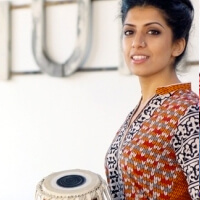 Sukhmani has toured and performed with artists such as Snatam Kaur, Ajeet Kaur, Jai-Jagdeesh and many others. Wah Khalsa, daughter of Gurmukh and Guru Shabd was born into a lineage of yogis. Schooled in India, Wah is a true modern day yogi and global citizen. As a Kundalini Yoga teacher and student of Yogi Bhajan she uses the technology of yoga and its teachings to navigate through life. You can find her working and teaching at Golden Bridge or catch her on one of her soulful teaching treks around the world. I knew nothing about Kundalini Yoga or the music before Sat Nam Fest. It was one of the most pleasant experiences of my life. The practice is so beautiful is making a huge difference in my life. When I got home and into my daily routine I noticed that every person I ran into was smiling back at me, as if my joy was infecting them, in a good way! I loved having the opportunity to fully immerse myself in mantra for 4 days! I appreciate the level of consciousness and devotion that each of the artists brought to their offering. It was also awesome to have someone else prepare my meals for me!